I know this is the day after the Super Bowl, but I just had to share this great recipe with you. I am sitting here craving it as I type and am really tempted to get up and go get a bowl that was leftover from last night while I finish this post. If you have been following me long, you know I just love Frank’s Hot Sauce and I take any opportunity to add it to a dish. This came out of a dip I had at a friend’s over Christmas and I couldn’t find one online that sounded like it tasted. So I made it up and surprise, surprise it is pretty good. You can up the hot sauce quantity depending on how much you like it. I added almost 1/2 cup, but you can do much less. Combine and mix all ingredients (except shredded cheddar & chips). Spread in the bottom of a 9×13 baking dish and top with shredded cheddar cheese. Cook on 350 degrees for about 20 minutes. Serve warm with tortilla chips or crackers. This is just like my recipe, except mine calls for Ranch Dressing. I don’t buy Ranch Dressing, so replace it with an equal amount of PLAIN yogurt with ranch like seasonings (look up Dry Ranch Mix on a recipe database online) mixed in. Works like a charm, reduces the fat without adding any chemicals from low fat dressings. I don’t recommend low fat cheddar for this…just doesn’t taste right. You can also throw it in the mini crockpot if you start it out in a skillet first to melt the cream cheese. 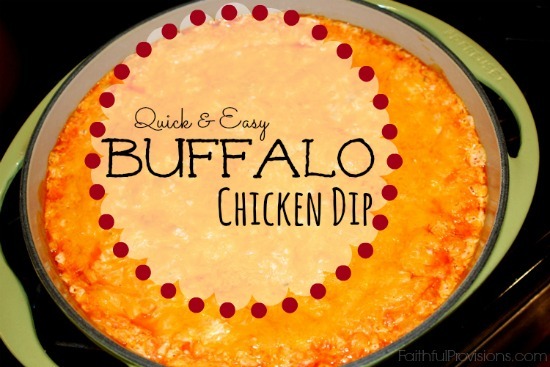 We LOVE this dip – I use ranch dressing instead of blue cheese and serve it with fritos scoops and pieces of celery! Paula Deen has a really good recipe for this on her website! I use ranch instead and canned chicken and I throw it all in a pot on the stove, it melts and I put it into a dish or crock pot…its super easy and everyone loves it! I love this stuff! Try it with celery instead of tortilla chips. It’s yummy! this stuff is awesome and addicting! It is great on celery or crackers too! I have made this two years in a row. 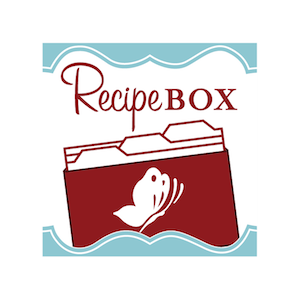 This recipe is almost identical to mine except I use bottled ranch dressing instead of BC because my husband doesn’t like blue cheese. This time i used almost 3/4 C. of Franks and instead of chopping the chicken by hand I threw it in the food processor and we LOVED the consistency of the chicken in it much better than previous times I’ve made it. Used Frito Scoops too-YUM!!! Mine is similar too except you spread the cream cheese on the bottom instead of mixing it in. You also use Mozzarella on top. Yumm. It is my favorite. I made mine too this year. I also have started serving it with toasted french bread and it is SOO good. Everyone seems to love it on the bread. I made this dip for the super bowl also. However we heated it all up in the crock pot and was the hit of the party! Try dicing up a stalk of celery and throwing it in there, it gives some bites a nice little crunch! My recipe calls for either ranch or blue cheese. I make it in the crockpot. My favorite is to serve it with Bagel Chips!! Yum!! Looks like this one is very popular! I make mine with ranch but I want to try sour cream and a pack of dry ranch! Anyways, I heat the chicken (canned) and hot sauce in a pot then add 1 cup of ranch and 1 package of cream cheese! I have halfed the recipe before too! This sounds awesome. I can't wait to try it. Thanks for the recipe.